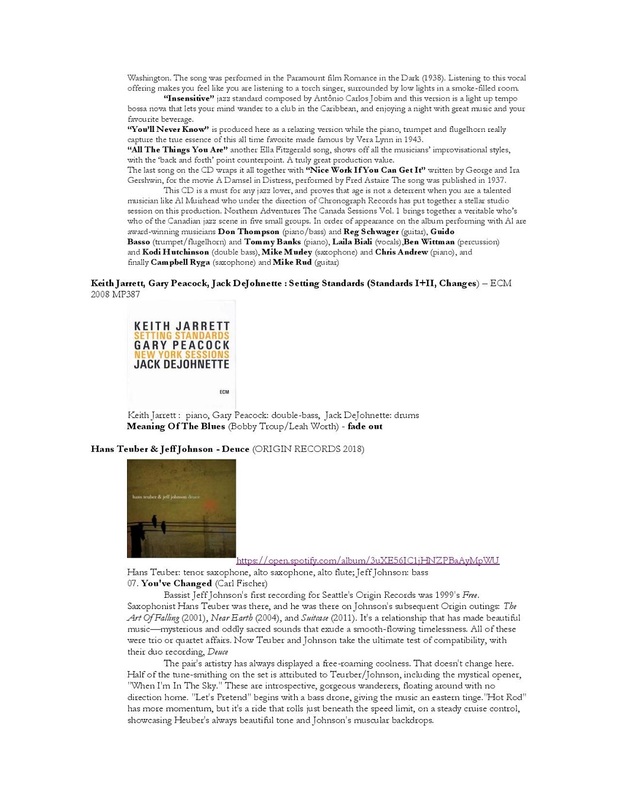 The buoyant and indefatigable drummer and composer Matt Wilson has won two 2018 awards from the Jazz Journalists Association: Musician of the Year and Record of the Year for his August 2017 Palmetto release Honey and Salt: Music Inspired by the Poetry of Carl Sandburg. 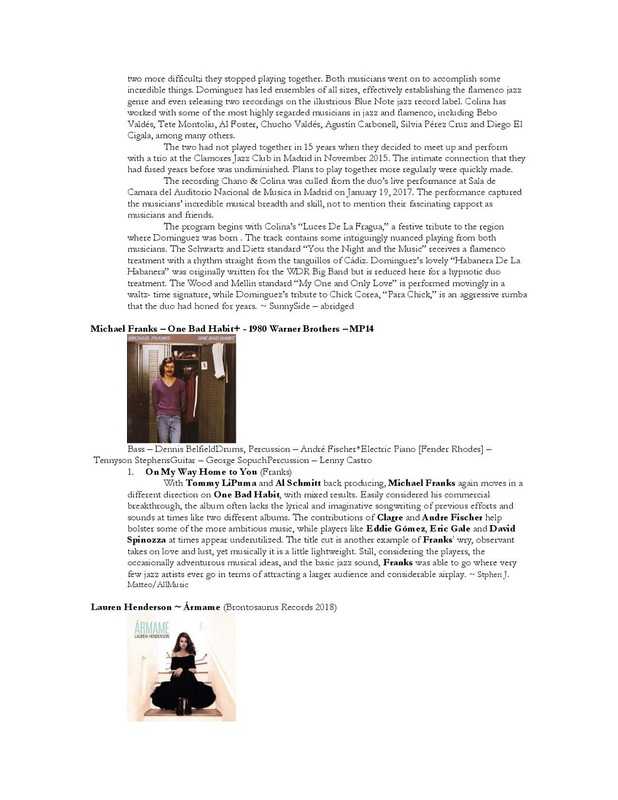 These are the 22nd annual honors for excellence in music and music journalism conferred by the JJA, an international professional organization of writers, photographers, broadcasters, videographers and new media content providers. Recipients of awards in 39 categories were chosen by JJA voting members. Most musicians will receive their engraved statuettes in front of their audiences at U.S. performances during the summer. Awards for media-related work will be presented at the 2018 Jazz Awards party, a fundraiser for the non-profit JJA, open to the public, at the New School in NYC on June 12, 2018. 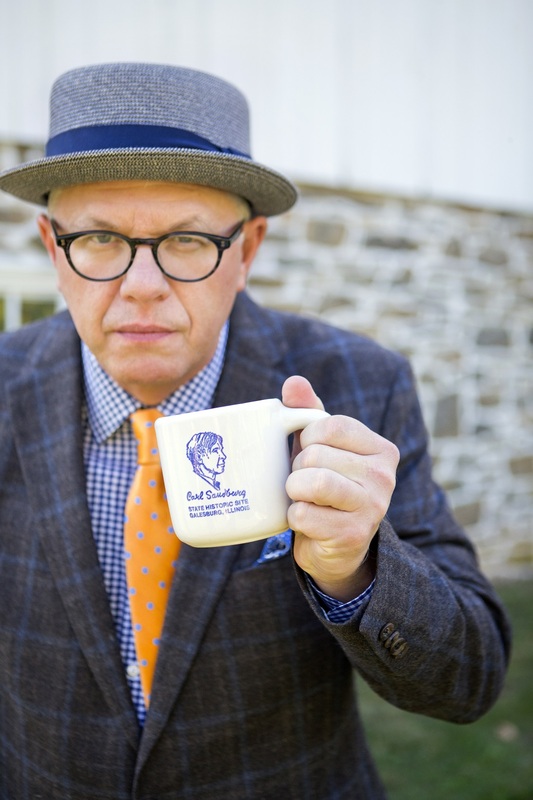 Some fifty years after Carl Sandburg’s passing, drummer/composer Matt Wilson’s Honey and Salt pays tribute to the “poet of the people,” who won three Pulitzer Prizes, wrote the definitive biography of Abraham Lincoln, advocated for civil rights and traveled the country collecting traditional folk songs. 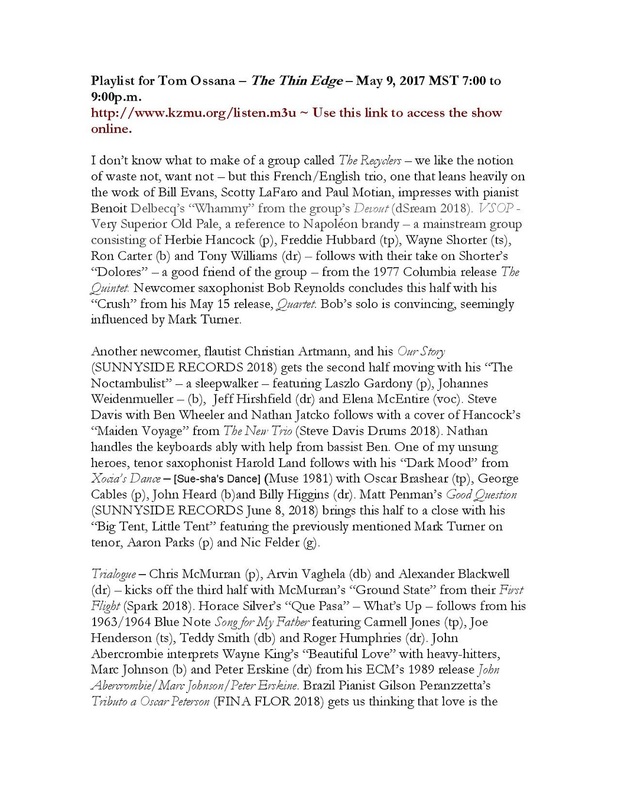 The album, released in August 2017 on Palmetto Records, earned wide critical acclaim as an “irresistible record,” (DownBeat). 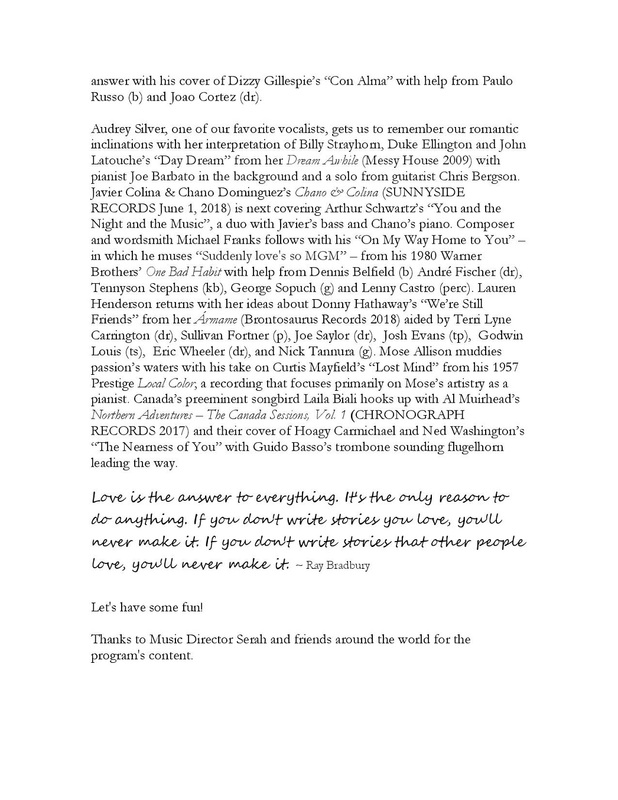 To recite Sandburg’s poems, Wilson enlisted a stellar list of jazz greats whose spoken voices are as expressive and eloquent as their better-known instrumental voices, including Christian McBride, John Scofield, Bill Frisell, Carla Bley, Joe Lovano and Rufus Reid, along with actor/comedian/ musician Jack Black – an honorary member of the jazz family through his marriage to Charlie Haden’s daughter Tanya. 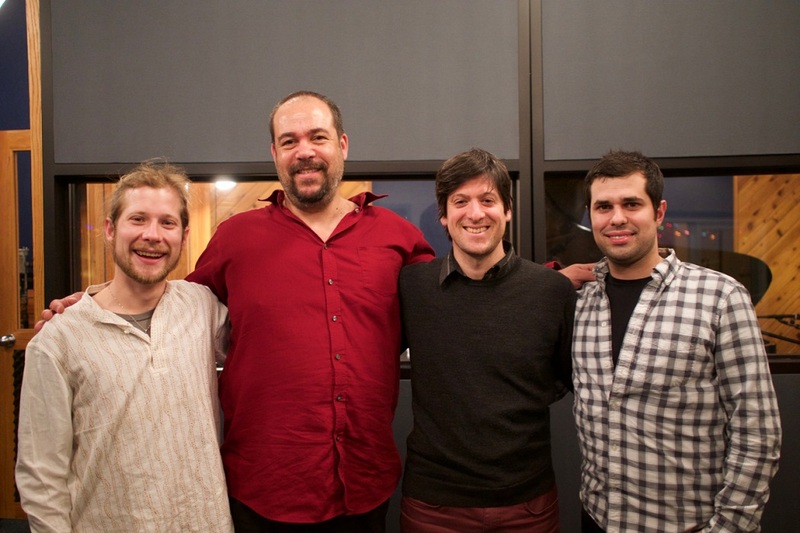 Wilson sets these recitations in an eclectic variety of settings for the ensemble that he’s formed expressly to pay homage to Sandburg: guitarist/vocalist Dawn Thomson, cornetist Ron Miles, multi-reedist Jeff Lederer, and bassist Martin Wind, along with Wilson’s jubilant and spirited drumming. Sandburg’s influence has emerged sporadically throughout Wilson’s career. His leader debut, As Wave Follows Wave, was named for a Sandburg poem that is reprised here; his 2003 album Humidity included a setting of Sandburg’s “Wall Shadows;” and An Attitude for Gratitude, the 2012 release by Wilson’s Arts and Crafts quartet, features the Sandburg-inspired “Bubbles.” The Honey and Salt project began life in 2002 with the help of a Chamber Music America New Works Grant and has since toured the world while Wilson has continued to delve into Sandburg’s volumes for new additions to the band’s repertoire. 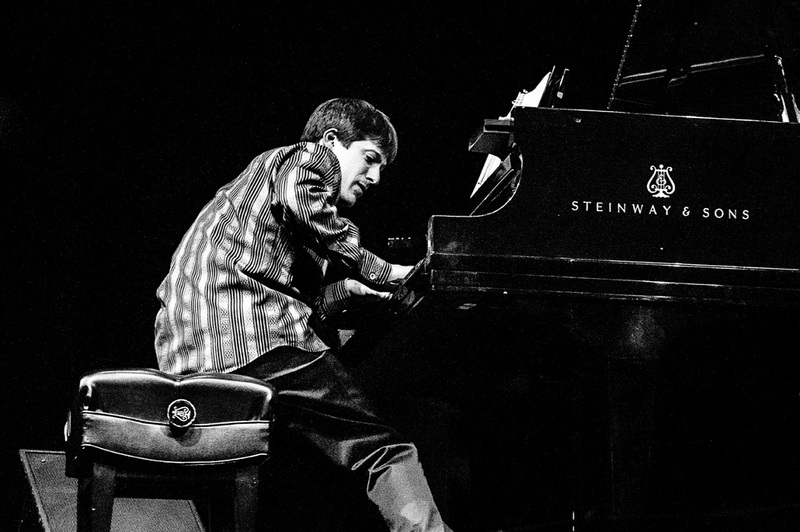 Few musicians embody the spontaneous energy of jazz quite like Matt Wilson. The New York-based drummer combines buoyant zeal, idiosyncratic style, infectious humor, joyous swing, and an indomitable spirit of surprise, making him one of the most in demand players and educators on the modern jazz scene. He leads an array of distinctive ensembles - the Matt Wilson Quartet, Arts & Crafts, Christmas Tree-O, Topsy Turvy and Big Happy Family. 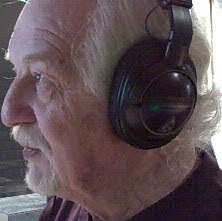 Wilson’s 13th recording as a leader for Palmetto, Honey and Salt (Music Inspired by the Poetry of Carl Sandburg) earned wide critical praise. 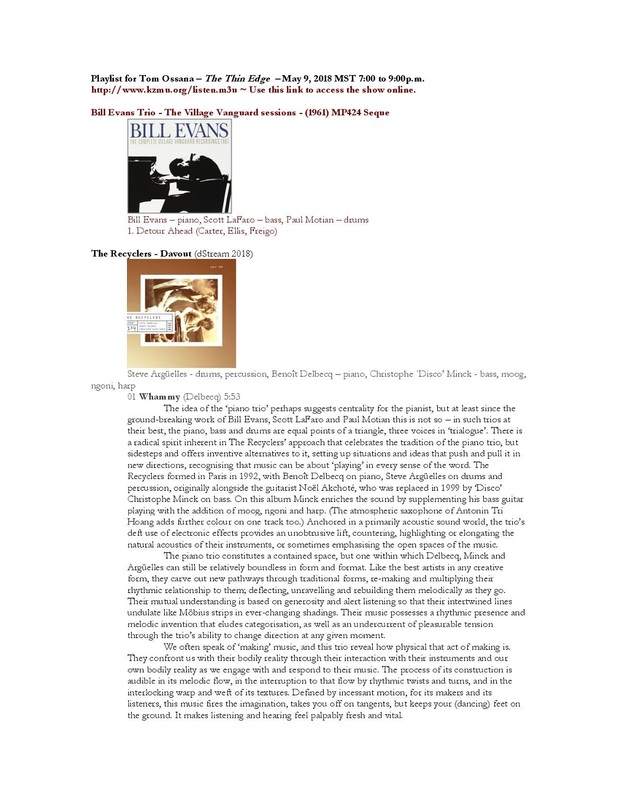 His impressive discography numbers more than 400 CDs, including releases by his co-led trios Sifter and Trio M and sideman recordings with such greats as Dewey Redman, Paul Bley, Charlie Haden, and Lee Konitz. He’s topped the “Rising Star Drummer” category in DownBeat’s Critics’ Poll for five consecutive years and has twice been voted Drummer of the Year by the Jazz Journalists Association. 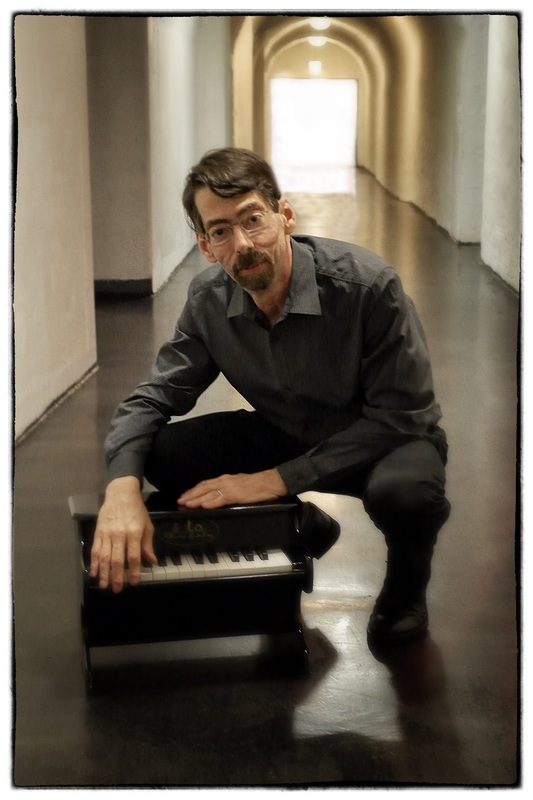 As an educator, he’s led workshops and master classes around the world and is on the faculty at the New School, SUNY Purchase, San Francisco Conservatory and the Prins Claus Conservatorium in Holland. 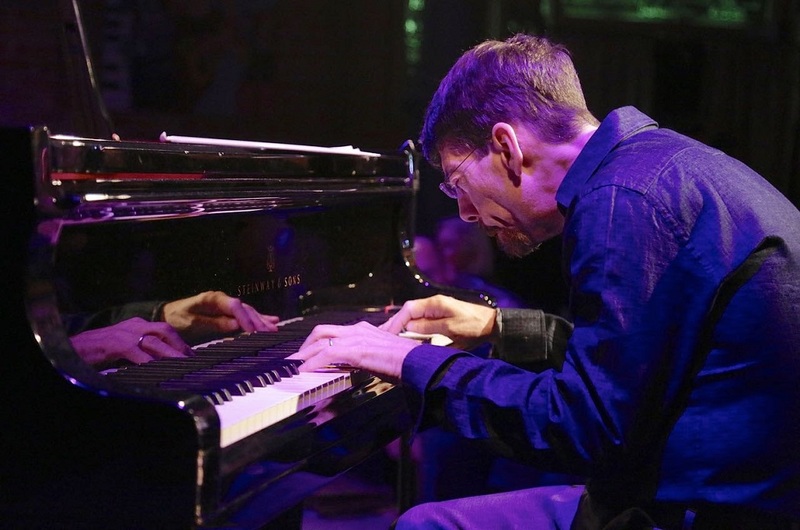 Pianist and composer Fred Hersch has won two 2018 awards from the Jazz Journalists Association: Pianist of the Year and Jazz Book of the Year for his memoir Good Things Happen Slowly: A Life in and Out of Jazz (Crown/Archetype, September 2017). Hersch’s new recording, Live in Europe (to be released May 11, 2018 via Palmetto Records), captures his trio – with longtime associates, bassist John Hébert and drummer Eric McPherson – in peak form and crowns what was a momentous year for the pianist. 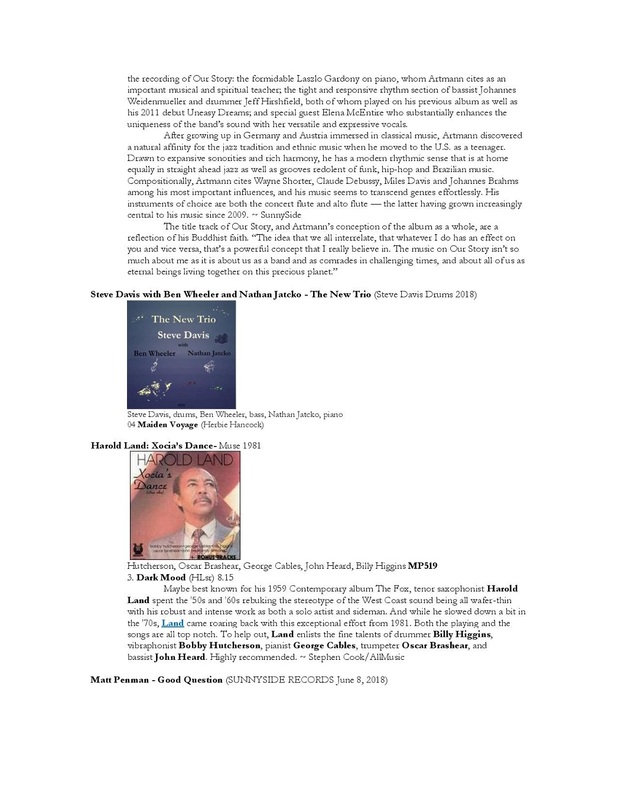 2017 highlights included the publication of Hersch’s acclaimed autobiography Good Things Happen Slowly: A Life In and Out of Jazz (named one of the Five Best Memoirs of 2017 by both The Washington Post and The New York Times) and two Grammy Award nominations for his revealing solo album Open Book on Palmetto Records: Best Jazz Instrumental Album and Best Improvised Jazz Solo (Benny Golson’s “Whisper Not”). In addition, Hersch was awarded the 2017 Prix in Honorem Jazz for the entirety of his career from l'Académie Charles Cros in France. 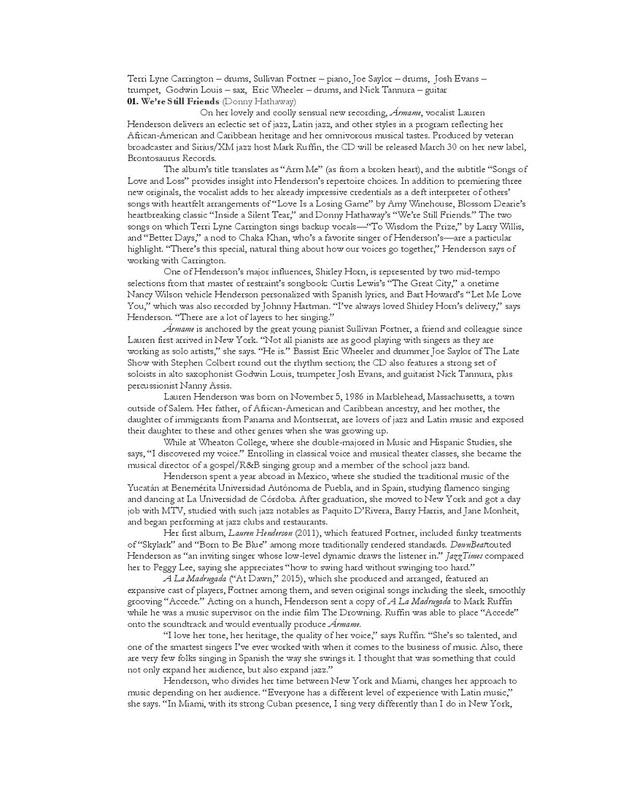 Hersch also opened the Jazz At Lincoln Center 2017 Season with his "Leaves of Grass," a full-evening setting of Walt Whitman's words for vocalists Kurt Elling, Kate McGarry and an instrumental octet. 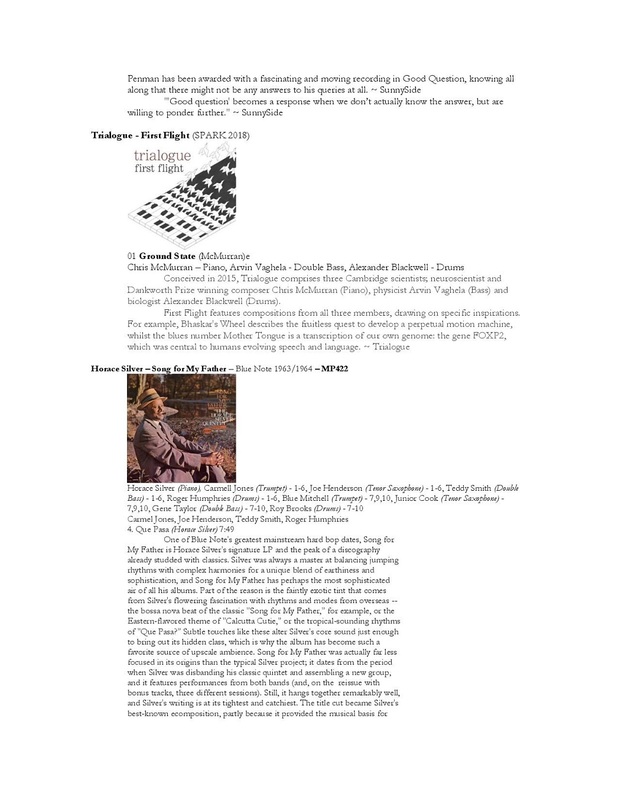 Add to that such recent accolades as the 2016 Doris Duke Artist award as well as the release of the feature documentary The Ballad of Fred Hersch, which premiered at the prestigious Full Frame Film Festival in March 2016 to rave reviews and now streaming on Vimeo–and you have that most auspicious of times when an artist is being rightfully acknowledged for attaining new pinnacles of ability and inventiveness. 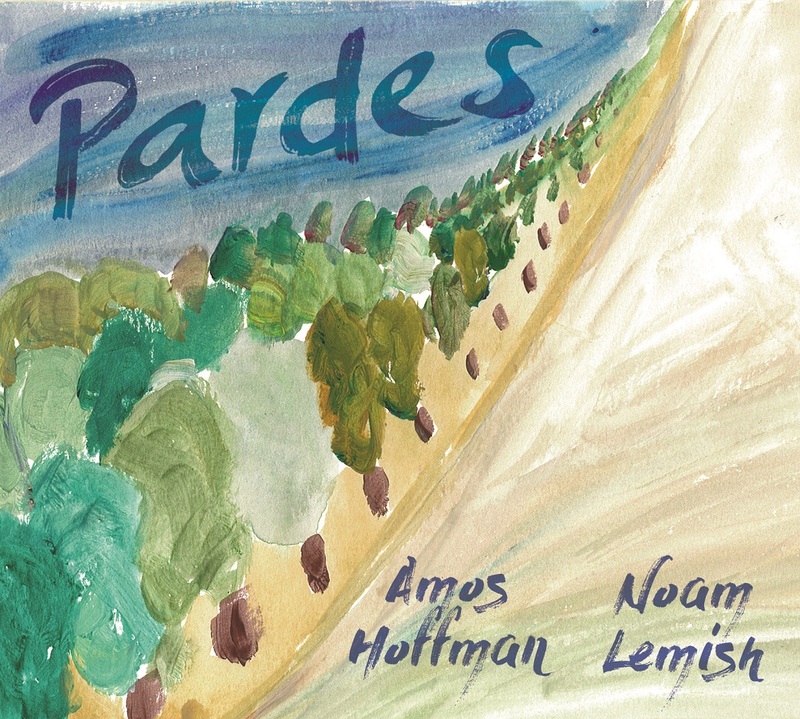 Internationally renowned jazz guitarist and oud virtuoso Amos Hoﬀman and world-class pianist/ composer Noam Lemish have teamed up to release Pardes, an enchanting album oﬀering an inspired blend of jazz, north african and latin rhythms as well as melodies that come from various Jewish communities across the Middle-East and Eastern Europe. 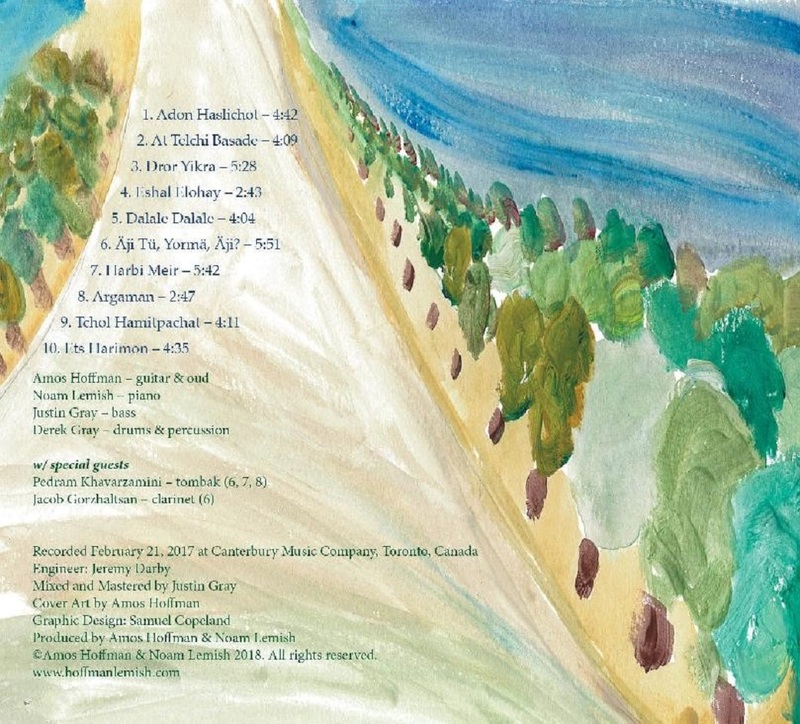 For years, Hoﬀman and Lemish have been collecting Jewish melodies from diﬀerent parts of the world including Kurdish, Yemenite, Moroccan, Russian, Central Asian, and Israeli songs. 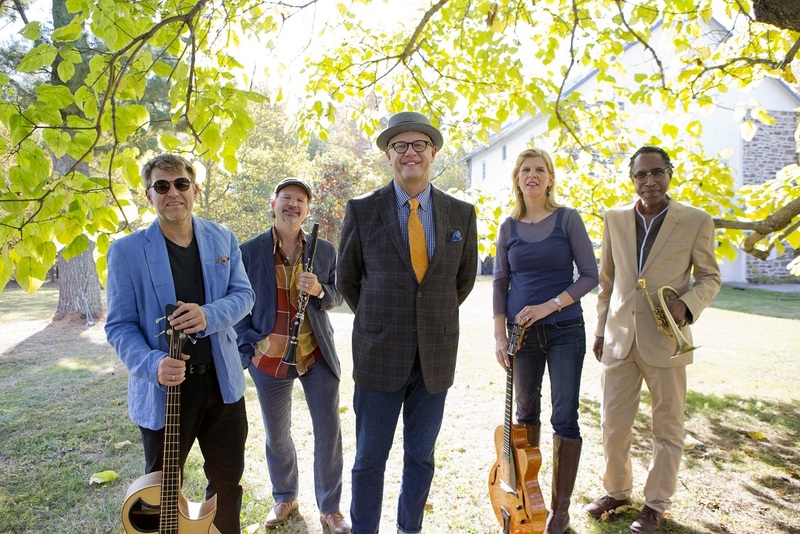 In Pardes they team up with a stellar Toronto-based rhythm section featuring Justin Gray on bass and Derek Gray on drums & percussion to present vibrant reimaginings of these beloved melodies. Hoﬀman and Lemish, both of whom have roots in Israel but have spent much of their adult life in North America, began collaborating in January 2016. 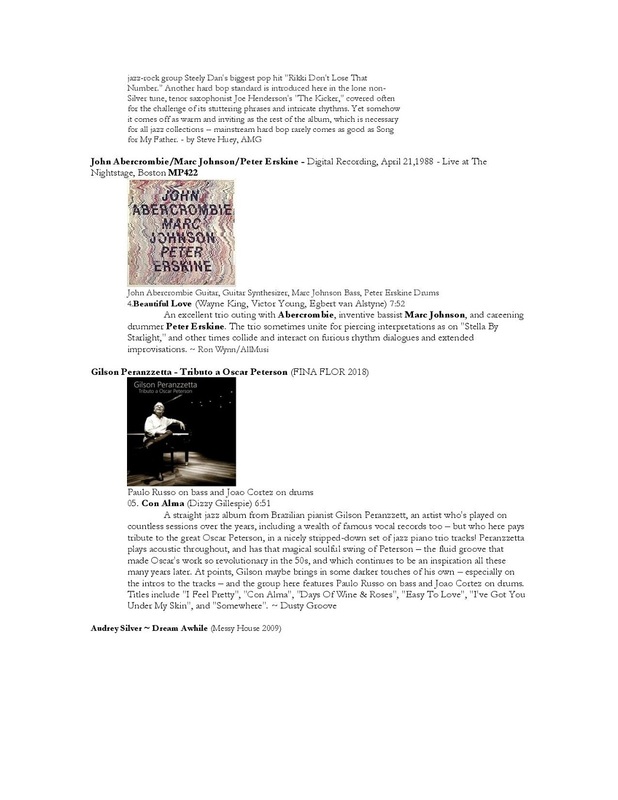 Lemish is deeply rooted in jazz and classical music and Hoﬀman is equally well-versed in jazz, Arab classical music, and North African vernaculars. 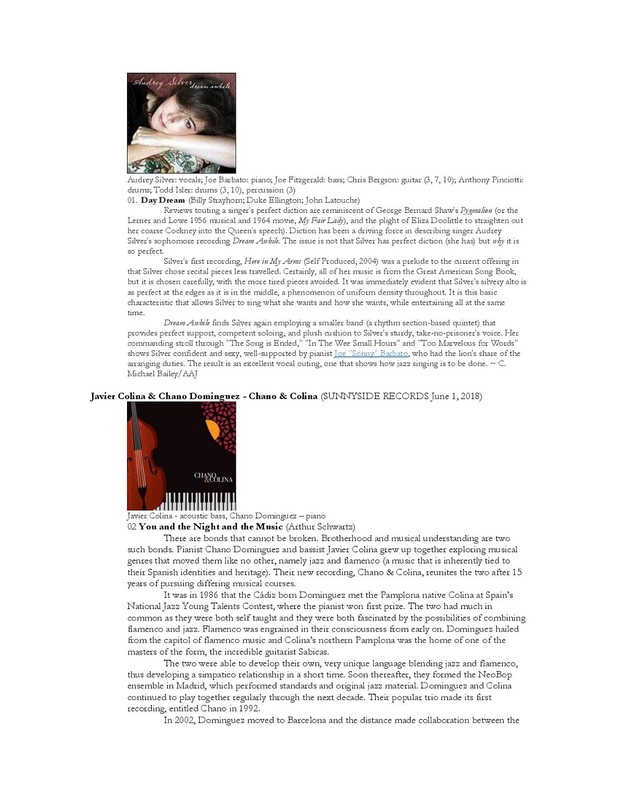 Together they create a refreshing and compelling sound, filled with vibrant sonorities, unique instrument combinations and compelling arrangements. Pardes will be released internationally on Friday, June 1st and will be celebrated with a tour of Ontario, Quebec and New York State. Os concertos Porta-Jazz estão de volta aos Sábados ao final da tarde!!! Depois de um longo intervalo, a associação Porta-Jazz, em parceria com a agenda cultural da Junta da União de Freguesias do Centro Histórico do Porto, retoma a programação de concertos ao final das tardes de Sábado. Yey! É já a partir deste Sábado, 12 de maio na Rua João das Regras, 365 - à Praça da República. Estamos à vossa espera. Até já! 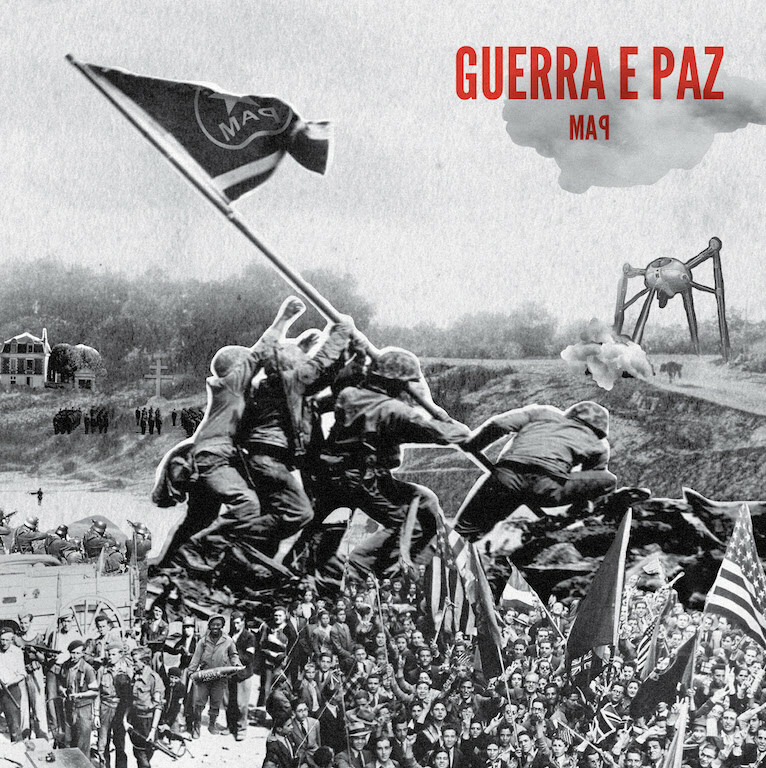 O novo disco de Paulo Gomes estende firmemente as suas asas numa arcada de estéticas opostas. De um lado surge meio corpo de uma picassiana pomba da paz, com traços essenciais e limpos. Acariciam momentos cristalinos onde o quarteto usa o espaço com amplitude serena. A delicadeza chega a ser um quinto membro da banda, para a interação. Guerra e Paz consegue fazer voar até às alturas emocionais mais elevadas um sugestivo híbrido de polos contrários. When I first listened to this music I was impressed by the synergy and technical ability of these three great young and skilled musicians. All compositions are masterfully arranged and every detail is perfectly cared from the execution of the song to the language used. I found interesting when even the catchy tracks become well-structured and skillfully managed. 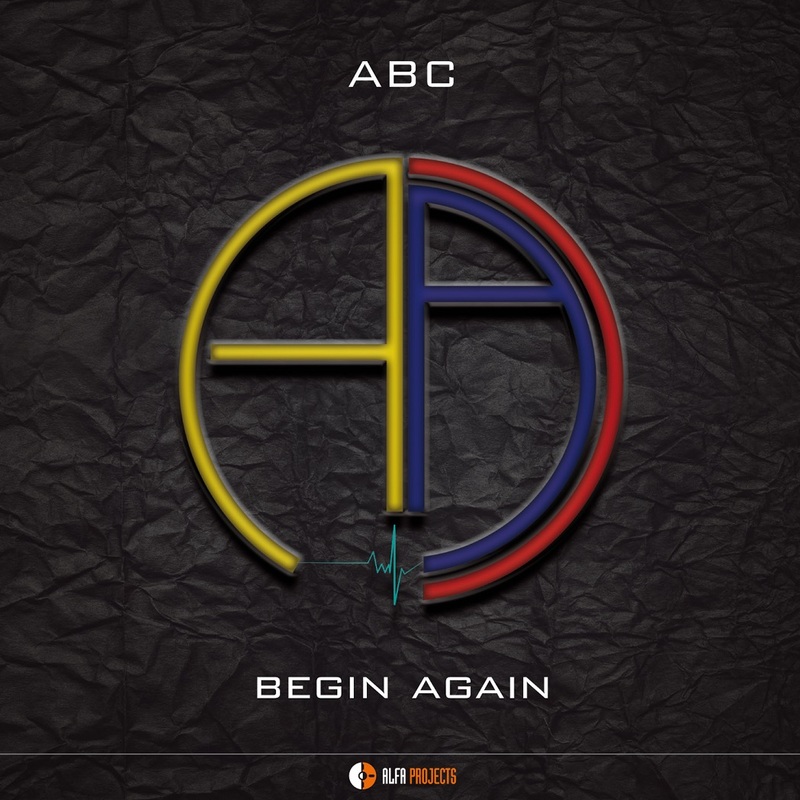 My heartfelt wish for ABC is to keep experimenting new great ideas to create memorable cool music. on the road to Drive! 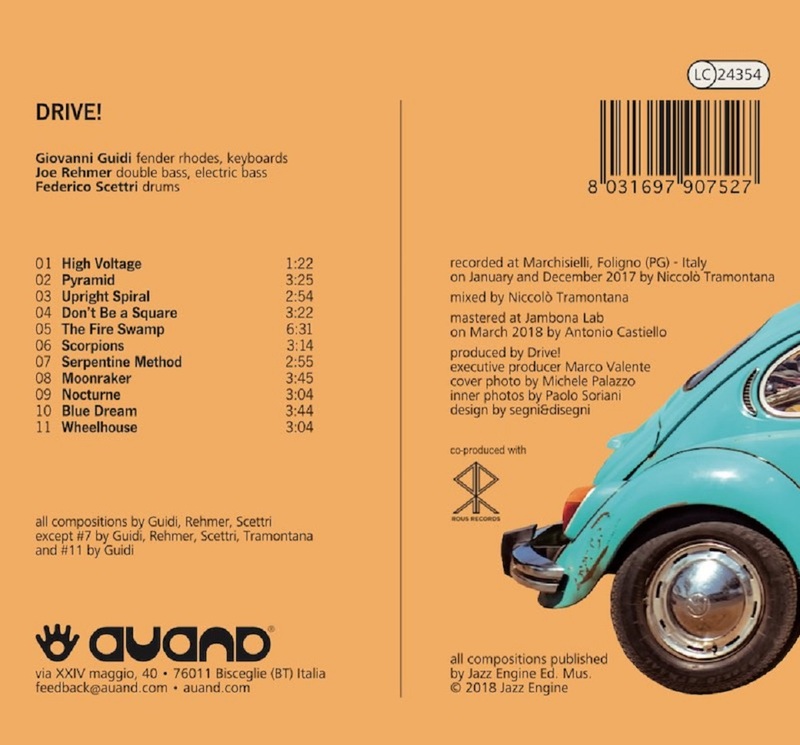 Auand Records releases the debut album of Drive! Electric and sharp, Drive! (out in June under Auand Records) proudly reveals dirty, rough, and almost dismembered sounds. 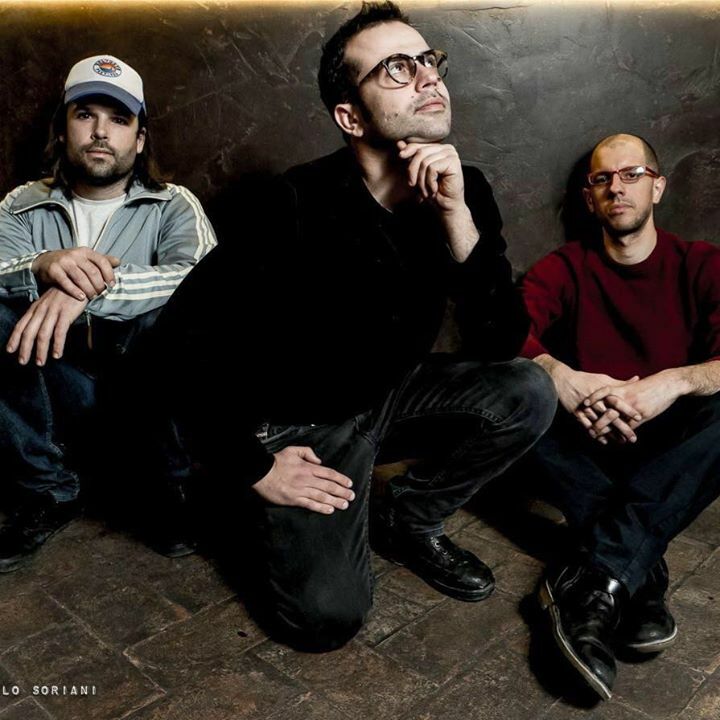 Most of all, this recording witnesses the lively exchange started several years ago among three musicians: Giovanni Guidi (Fender Rhodes, keyboards), Joe Rehmer (double bass, electric bass) and Federico Scettri (drums), joined by Niccolò Tramontana’s touch on sounds. Far from being just the picture of a trio, Drive! is something more complex and unusual, with a rich pre and post-production, as shown by ‘Serpentine Method’, a track that invites the listener to step in a labyrinth of percussion, keyboard lines, synth sounds and voices reflected in a mirror. 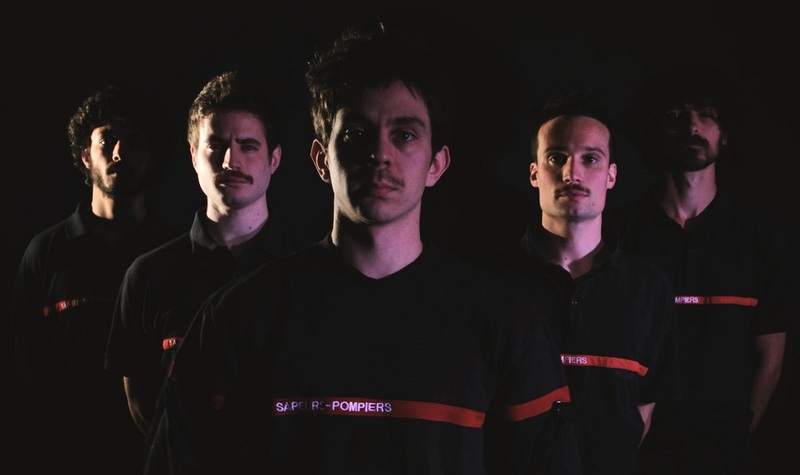 Les hommes qui composent LES POMPIERS ont été sélectionnés pour leurs connaissances théoriques du métier, mais aussi pour leur sens de l'initiative, leur combativité, leur dévouement et leur rigueur. 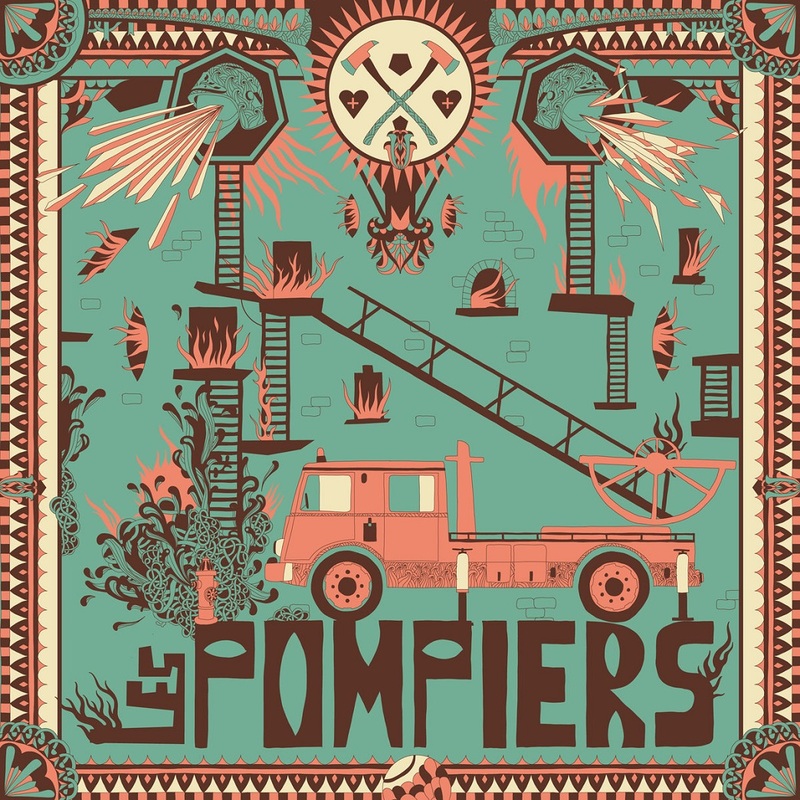 Toutes ces qualités sont nécessaires aux bon fonctionnement de LES POMPIERS, et tout particulièrement la volonté collective de sauver des gens. 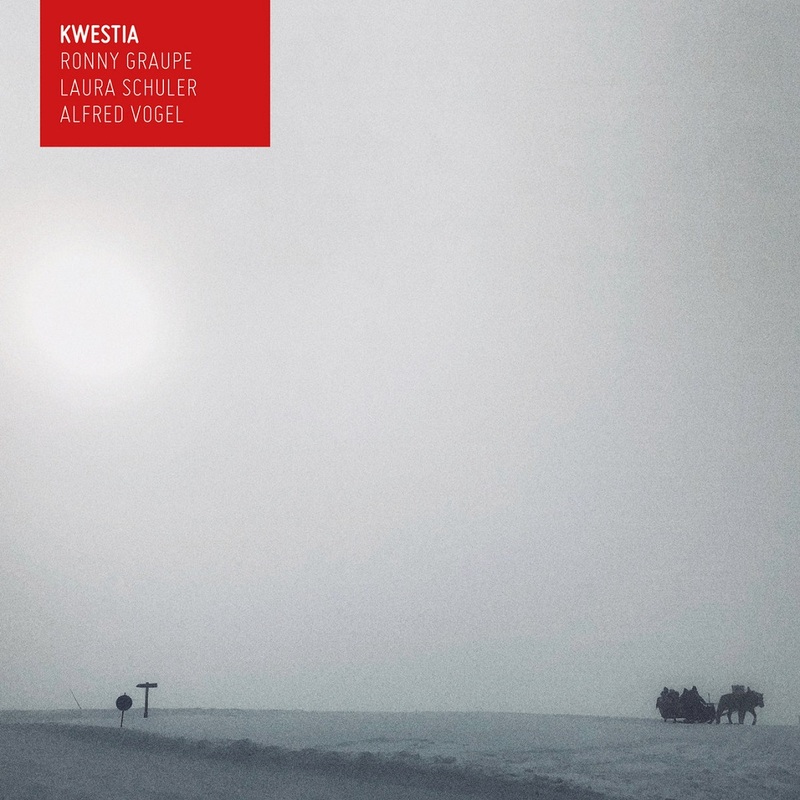 KWESTIA is a band which invites you the listener to witness it´s progress. Due to different domestic places (an austrian alpine village named Bezau, the swiss city of Bern and Germany´s Berlin - let´s call it the golden triangle of Bs ...) the band meets in bigger intervals to record and tour and let you be part of how things are moving on ... therefore we choose bandcamp as a plattform where new tracks will be added as soon as they are available. 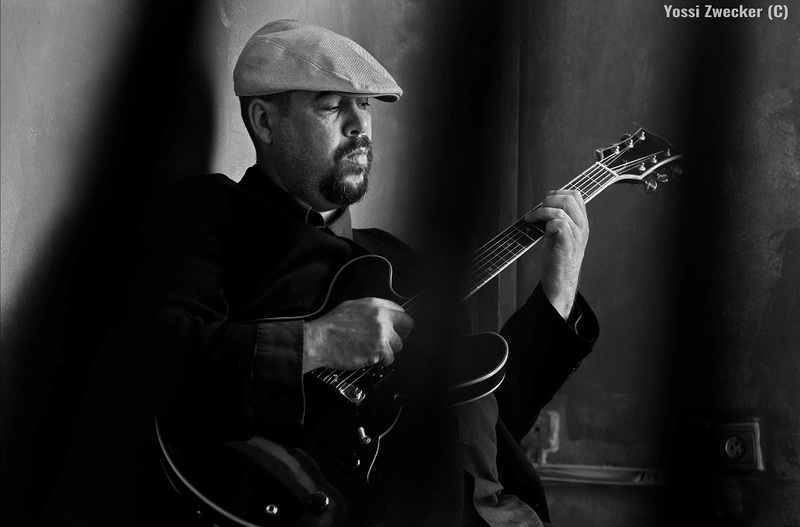 Ronny Graupe´s work as a guitar player and writer is well recorded and demonstrates the fresh attitude of improvisers of the European Jazz Scene. His collaboration with bands like Hyper Active Kid (now Gropper / Graupe / Lillinger), Yellow Bird or Grand Seniors like Rolf Kühn a.m.o. proof him as a highly skilled virtuoso as well as a great composer of modern music. Laura Schuler a former student of Graupe from the Bern Jazz School is a sensitive and highly creative string player and matches here with a wonderful light- and brightness between the dense and complex rhythms. Besides active solowork and bigger newmusic ensembles Schuler made herself a name also due to her collaboration with Graupe in a Band named Aberratio Ictus. She covers both worlds - the classic and jazz - with ease. On drums the initiator of this project Alfred Vogel shows again his ability to drive crazy and hard as well as to fit in with sensitive brush work when the music longs for. 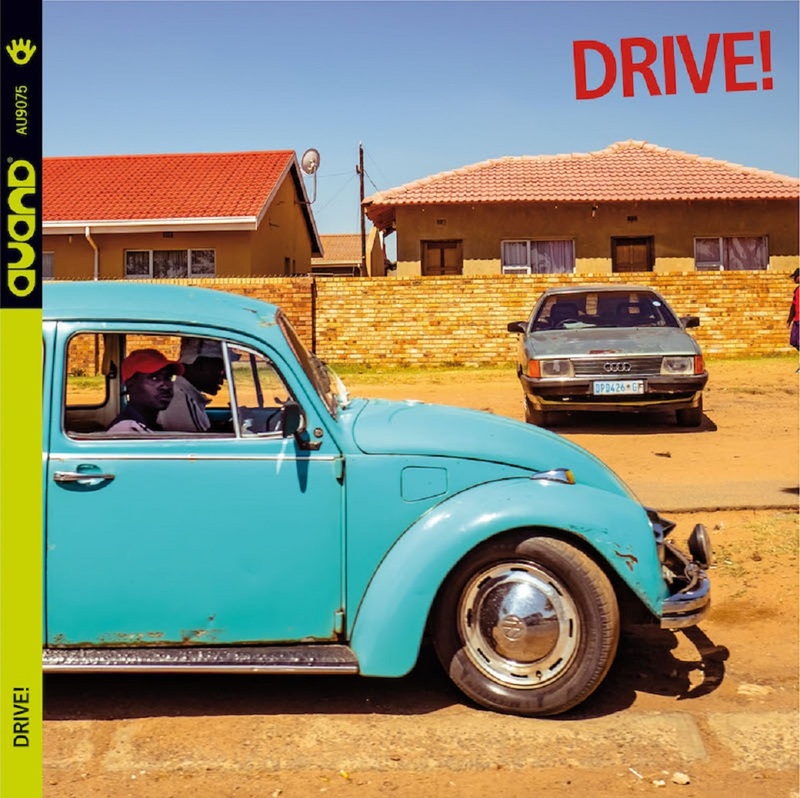 The compositions (for now mainly by Graupe) show an incredible matured songwriting and advanced structure. 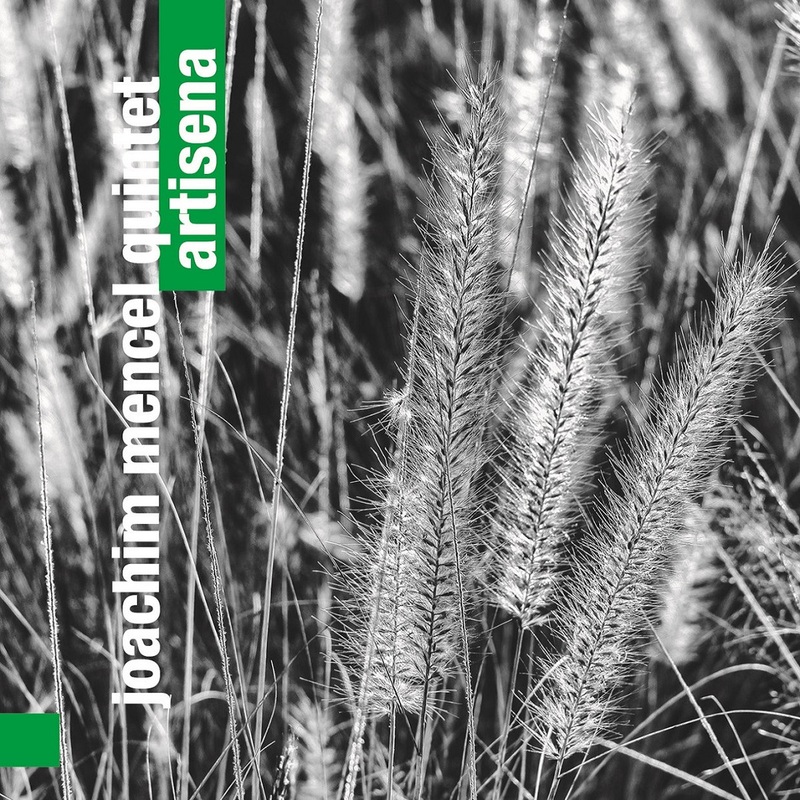 Despite of it´s complexity this music and by the way bassless trio sounds surprisingly poetic, dreamy and lightfeathered. Multiple timelayers and pulses delivered by all of the three are topped with deep sense of melody and harmony. If there is a category that might fit the concept it would be creative improvised music. And then there is a track like Latarnik with a quite poppy head. But be aware it would change and progress ... to where? In the modern music market artists might have more questions than ever. One question is, where their music can go to and how it will be received in a fastforward moving time ... therefor the given name is the polish word KWESTIA - which stands for the word QUESTION. In their own words: "We don´t know where this project will lead us to. All we know is that it is wonderful music and that we played our hearts out on the recording session. We want to share it now with an interested audience and listener and hope to go out and play live ...!" 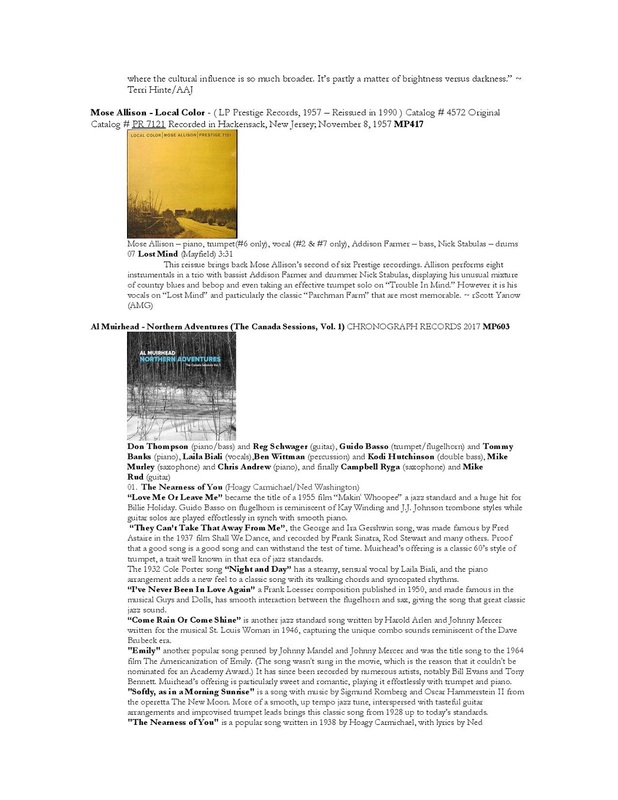 Playlist for Tom Ossana – The Thin Edge – May 9, 2017 MST 7:00 to 9:00p.m. The journey to realizing this album lasted several years. Its first stage was the writing of a cycle of jazz compositions which were inspired by Polish traditional dances, including the dances of national minorities. 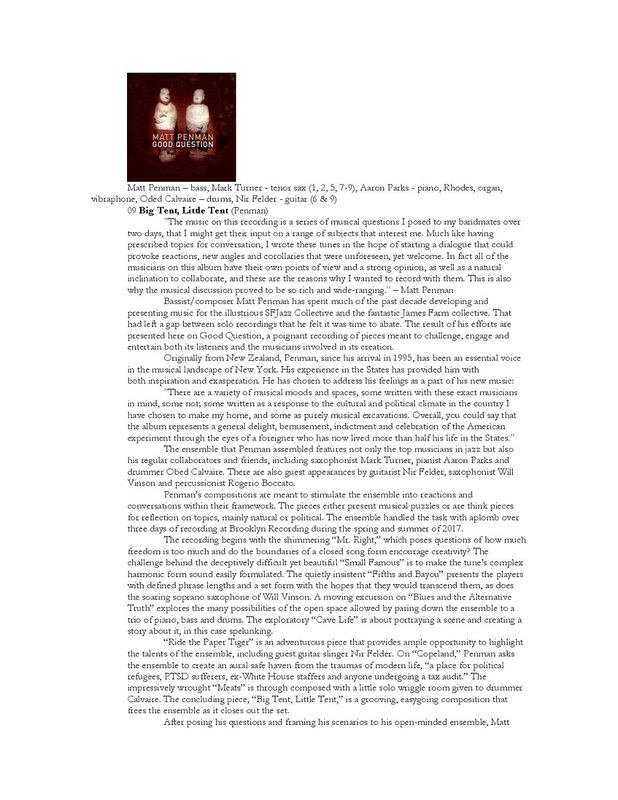 I got this idea from a compositional concept applied by Fryderyk Chopin, with the difference that my compositions were jazz themes, as opposed to classical pieces. Like Chopin, I titled these compositions with names of folk dances, and thus my Polonaises, Oberek, etc. came to be. In the initial version, I arranged these pieces for a nonet which included five wind instruments. Although I was happy with the effects of my work, I still wanted – other than a jazz sound – to achieve a traditional music sound as well, in order to create a fusion of ethnic music and jazz in this element. And so the choice came about… I decided to fulfill an old dream of mine and learn to play the cranked lyre (also known as the hurdy-gurdy). I spent several years on this task, and reached a point where I could play most of the pieces I had written earlier on the lyre. 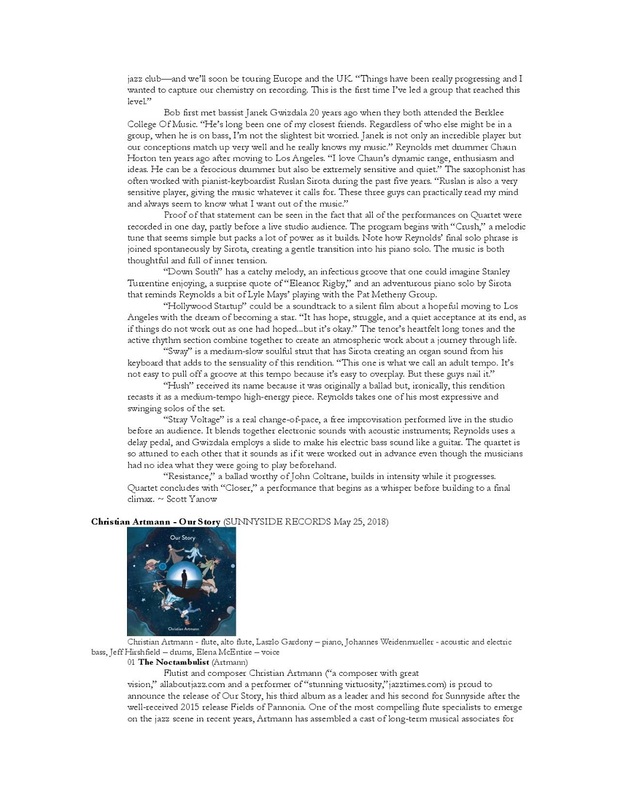 This was also the basis for a reworking of the entire cycle, in which I no longer combined the sounds of the piano and lyre with wind instruments, but with violin and guitar. On the album, the violin is played by Weronika Plutecka who, on the other hand, doesn’t usually deal with jazz, but with ethnic music. On guitar we’re accompanied by a superb jazz musician – Szymon Mika. This performance apparatus is supported by a steadfast rhythm section: Paweł Wszołek (bass) and Szymon Madej (drums). 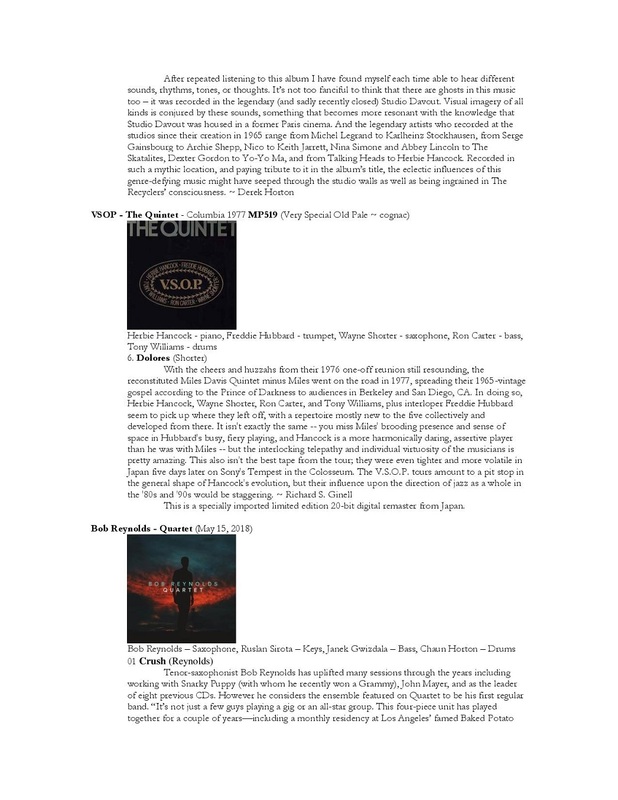 I’m happy that, with this crew, I was able to create and record an ethno-jazz album, in a very broad understanding and on numerous levels of that stylistic term. Ethno-jazz is in the spheres of composition, its sound and in the music’s performance. Let the music play!